Wooden Corded Rosary with 6mm round beads. Handmade endless cord forms a closed loop of beads with a 'closed length' of approximately 13 to 15 inches (330mm - 380mm), and a total 'open length' (if loop were opened out) of 26 - 30 inches (660 mm- 760mm). 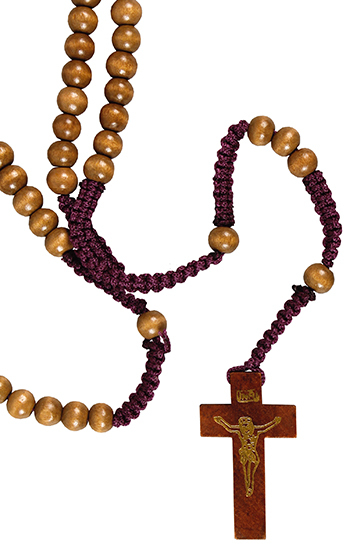 Wooden Corded Rosary is published by CBC Distributors and is our 328th best seller. The ISBN for Wooden Corded Rosary is 6023WOOD. Got a question? No problem! Just click here to ask us about Wooden Corded Rosary.